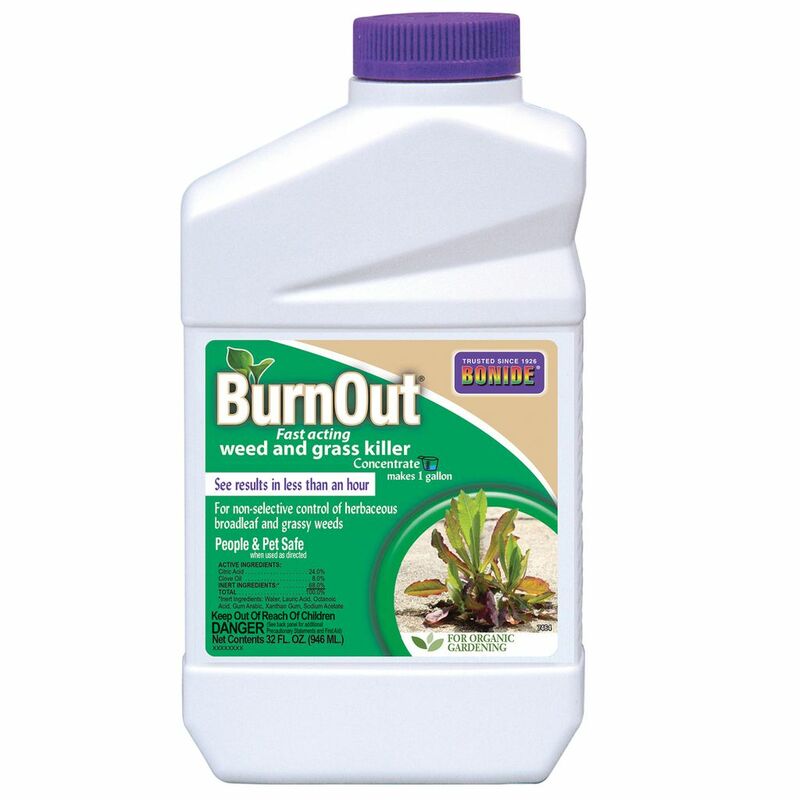 BurnOut II Weed & Grass Killer works quickly to solve weed or grass problems. This effective blend includes a mix of vinegar, clove oil and other compounds that cause problem plants to wilt in minutes. Gardeners can simply spray BurnOut II Weed & Grass Killer anywhere weeds and unwanted grass grow. It works great for sidewalks, driveways, flower beds, gardens, orchards and practically anywhere else weeds or grass are a problem. One quart concentrate.